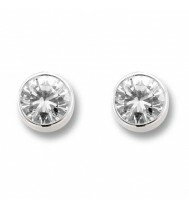 Ti Sento Earrings There are 31 products. 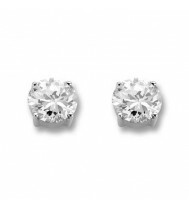 The team got to work creating intricate designs crafted in sterling silver and show-stopping cubic zirconia stones in all colours, shapes and sizes. 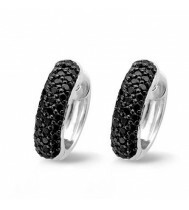 The jewellery designs are bold and feminine with a romantic feel. 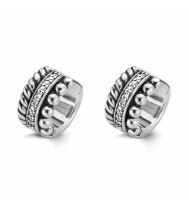 These stunning sterling silver 16mm cz & patterned hoop earrings are rhodium plated to give it a hard and lasting finish. 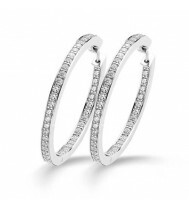 Ti Sento hoop earrings, 40mm rhodium plated sterling silver are pave set with triple A quality cubic zirconia on the inside and the outside of the earring which creates a dazzling effect. 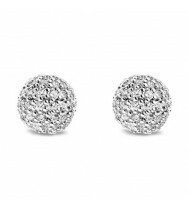 A stunning pair of rhodium plated sterling silver Ti Sento stud earrings. 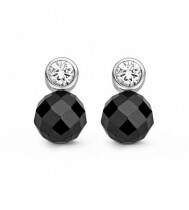 Set with a 8mm black facet cubic zirconias these will bring a classic look to any outfit. 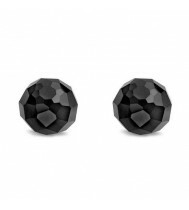 These stunning sterling silver 8mm black faceted cz ball & rubover set clear cz ear-rings, are rhodium plated to give it a hard and lasting finish, and are presented in a lovely Ti Sento box. 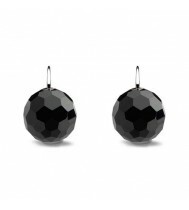 Ti Sento silver earrings with black polished zirconia ball stud which is sterling silver and rhodium plated. 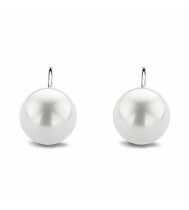 A classic and timeless pair of pearl and rhodium plated sterling silver Ti Sento drop earrings. The pearl is 14mm in diameter and made from natural shell, coated and polished to the final shape of the pearl.